It does what many would say would be impossible. 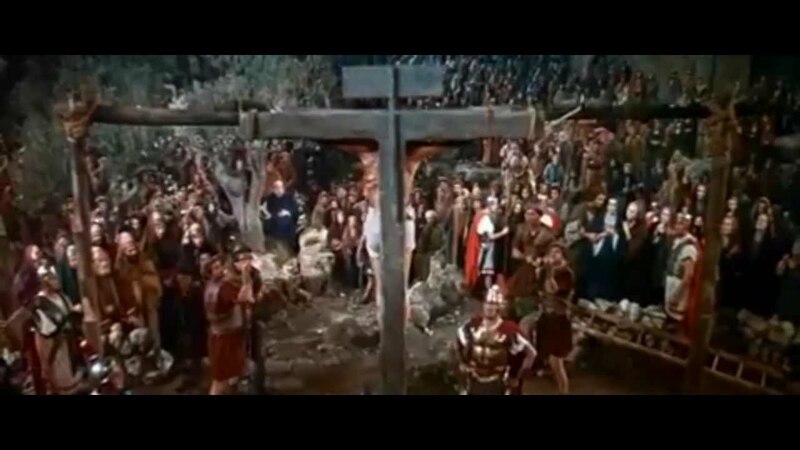 It manages to convey the power and glory of Christ message of Love and Salvation without Christ being a central Figure in the film. A true masterpiece in EVERY sense of the word. It even made me cry at the end but then some would say that's not the hardest thing to do. I don't think i have seen a better movie in my life. There is definitely a joke there Bob but I won't say it. 🍻 To Judah Ben Hur and the House of Hur. I also like The Ten Commandments but this movie is probably the greatest movie ever made! The remake was an abomination. I am ashamed of myself for seeing it. May God have mercy on my Soul for making such a foolish decision. I knew it from the trailer though the actors in it looked like actual semitic jews. That is actually on point. The actors did look from that Age. But their actual skills were amateurish. Rocket and AJ must have been executive producers on the film. What do you think was Goliath's height? Like The Undertaker and Kane? Not actually a giant but a worthy opponent to behead. But he was mentally slow and not agile. Goliath was well built, agile, a warrior! The audiobook is in the public domain and can be downloaded for people who like to listen to books when walking a dog. Tells everything about and the people who enable and like you. They are all tasteless retards who listen to Mariah Carey instead. No wonder the movie industry is dead, and so is the music.